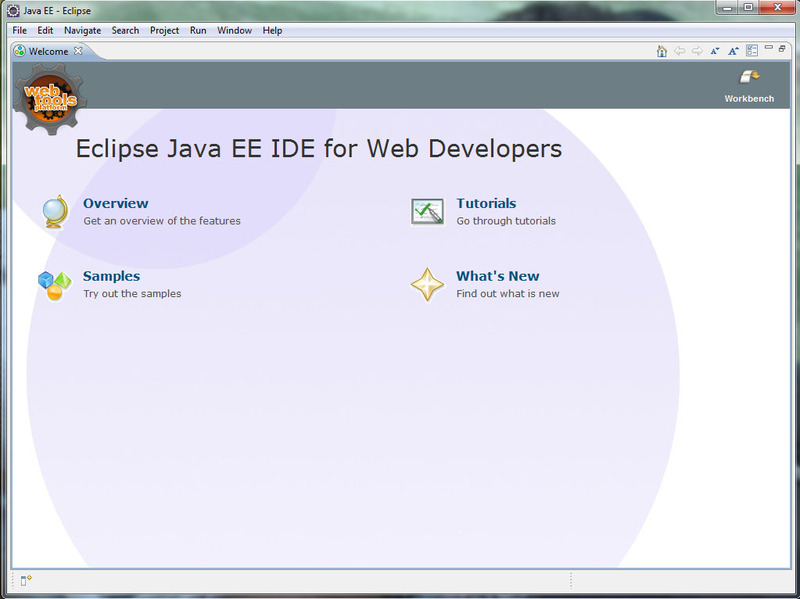 In this section, you will learn how to create java application or program in Eclipse . 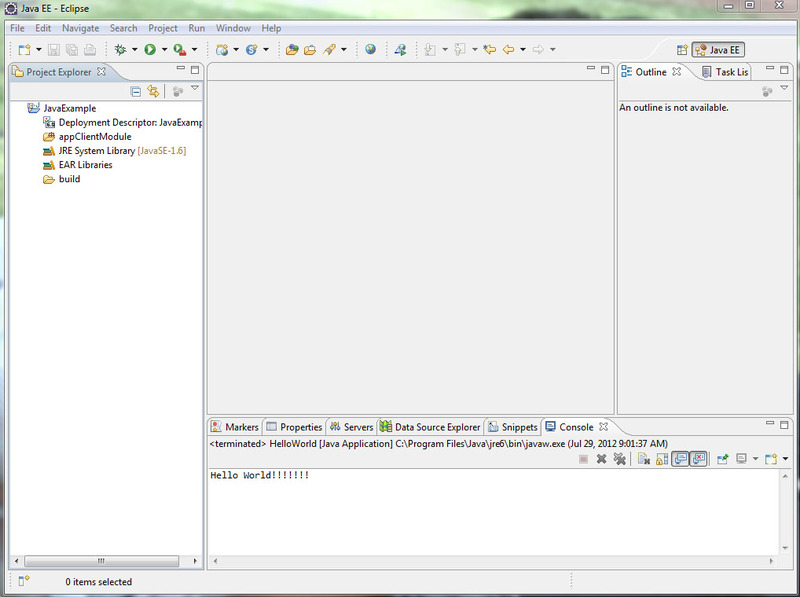 Here, i am going to develop "Hello World" application in eclipse. 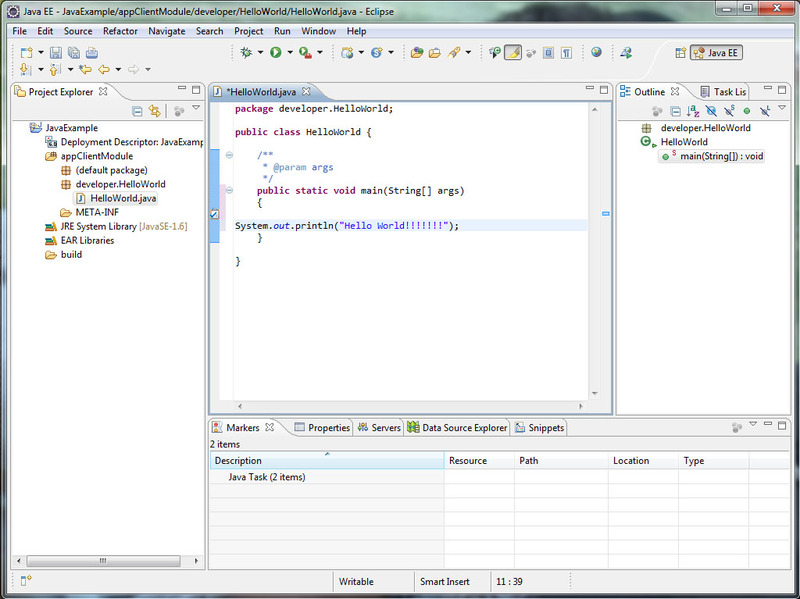 Eclipse is an IDE. 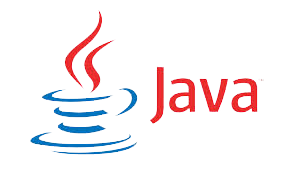 It provides you an environment to develop java application. Step 2: After downloading the eclipse. 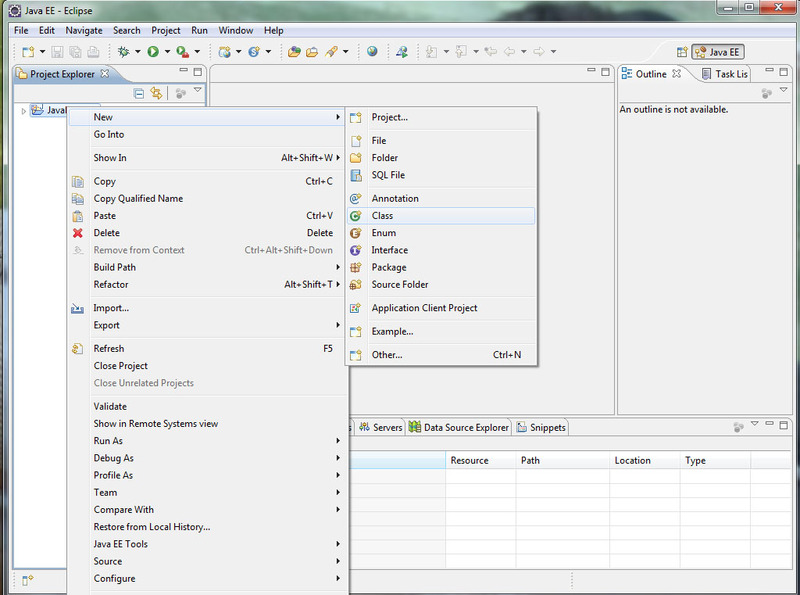 Unzip eclipse and select Eclipse.exc file. 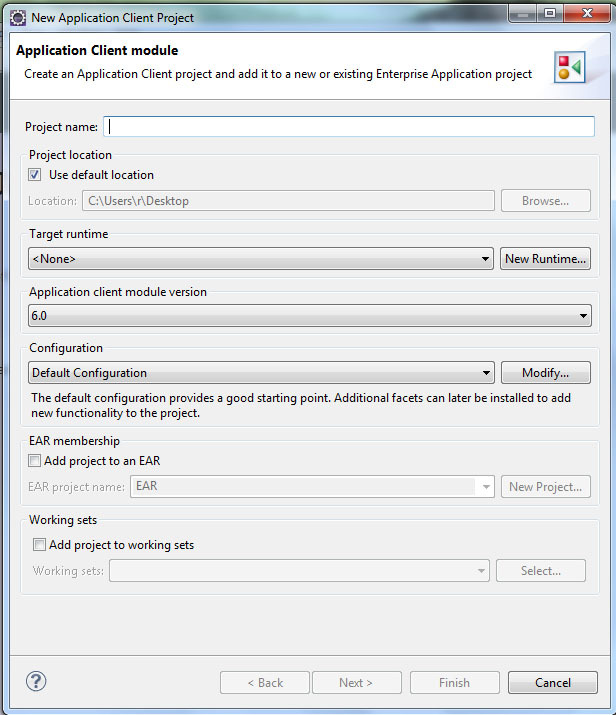 Eclipse directly commmunicate with the jdk1.5 (other version of java) . 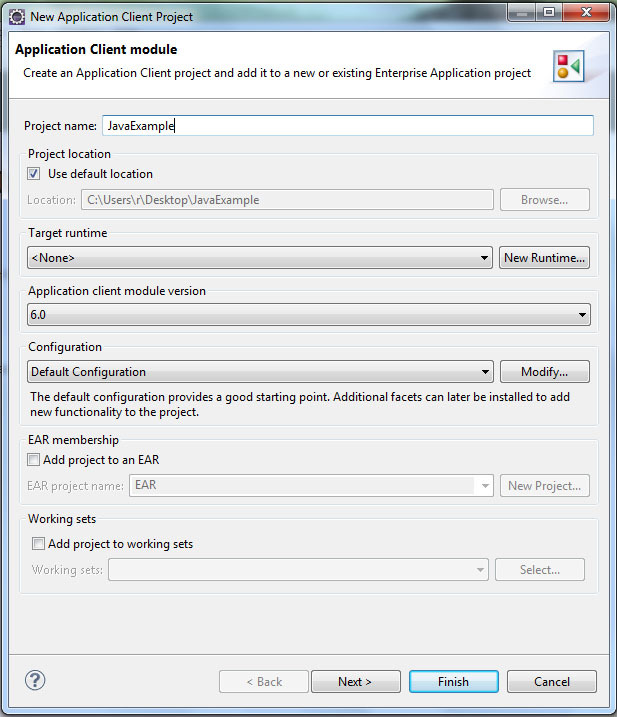 Eclipse loads JDK automatically. Step 3: Clicked on Eclipse.exc. Then open eclipse Welcome Page. 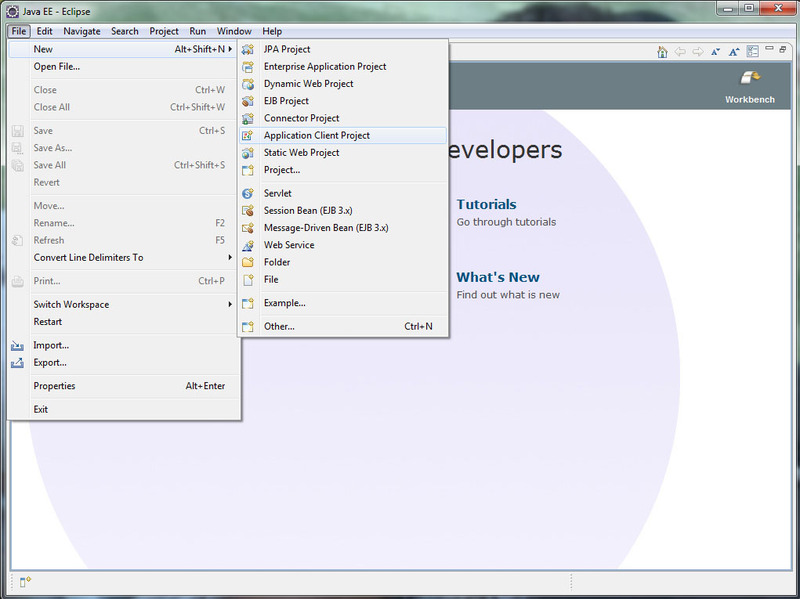 Step 7: Now Java Project is created. Step 8: To create a class. Right clck on JavaExapmle(Project name) => select New => select Class. 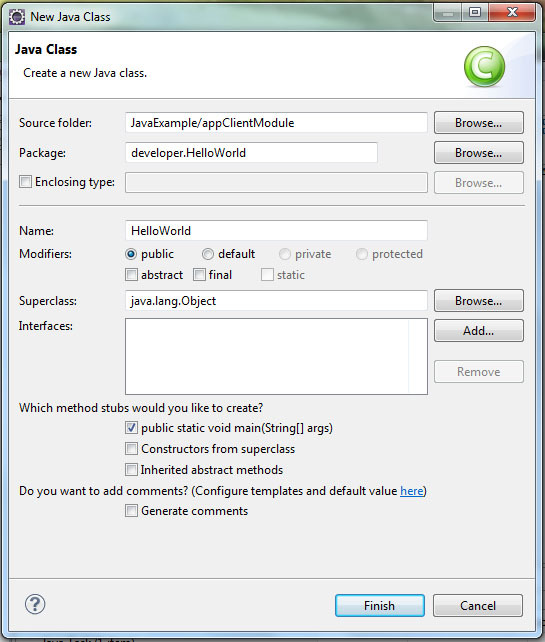 Step 9: Before creating a Class you needed to create a package. Type package name like developer.Helloworld after that type Class name like Helloworld(Remember first letter of class name should be in Capital letter).